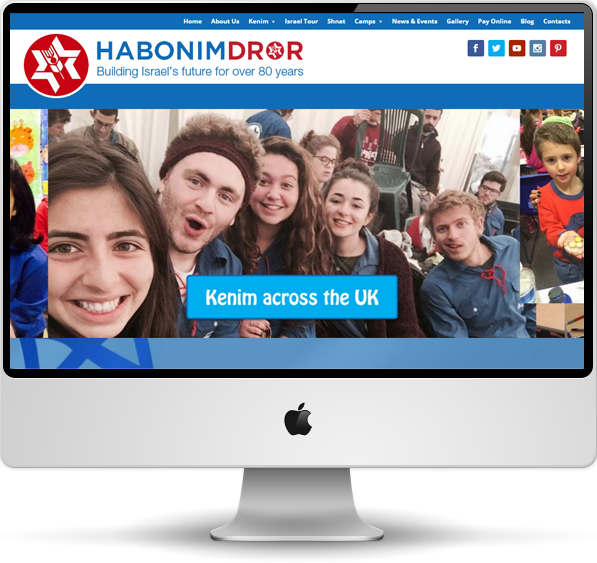 Habonim Dror is a culturally Jewish youth movement, and has been pioneering the future of Jewish people for over 85 years. Habodror has branches across the UK, and organises regular youth activities, summer camps and tours. The Habodror website is an example of a custom version of our BlackboxFlex product – it has a complex structure with approximately 20 pages, and incorporates a responsive design with multiple social media integrations, complex forms functionality, image sliders, embedded video functionality, blogs and more. It is also ready for the launch of a custom ‘pay online’ facility via a 3rd party payment gateway. NB: custom payment gateway integrations are not a standard part of the BlackboxFlex product, and do attract additional cost.